A Brazilian Dota 2 team looks to make history in the Ukraine this weekend but one of the best teams in the game still stands in their way. With the League of Legends spring season behind us, the spotlight this weekend is on the Valve’s $3,000,000 Major in Kiev where the stage is still being set for tomorrow’s semifinals, and upstarts SG Esports from South America have already drawn blood against favorites Team Secret. Of course, there’s also a little something called the DreamHack LAN in Austin, Texas, happening this weekend as well featuring tournaments in everything from Counter-Strike: Global Offensive to Pokkén Tournament. Below you’ll find where and when you can catch all the weekend’s biggest events in competitive gaming. Let us know what you’ll be watching in the comments or if you think there’s something we might have missed. After months of Invitationals and qualifying stages, Valve’s Kiev Major comes to a head this weekend with the rest of the single-elimination bracket playing out before the grand finals on Sunday at 10:00AM EDT. Both Invictus and OG have made it to the semifinals and await the winners of Team VGJ vs. Virtus.pro and Evil Geniuses vs. SG Esports. The semifinals are scheduled for the dark, dark hours of 3:00AM EDT Sunday morning. You can catch all of the action, including a David and Goliath match-up between EG and SG at 1:30PM EDT today, right here. After the spring seasons from each of the regions have come to a close, this weekend marks the start of the Mid-Season Invitational, where the winners of other regions will get to test their mettle against one another and eventually the reigning champions of the big four. Today’s action kicks off at 2:00PM EDT with Virtus.pro vs. Lyon Gaming and Sunday at the same time with Rampage vs. Red Canids. You can find all of the matches streaming live right here. 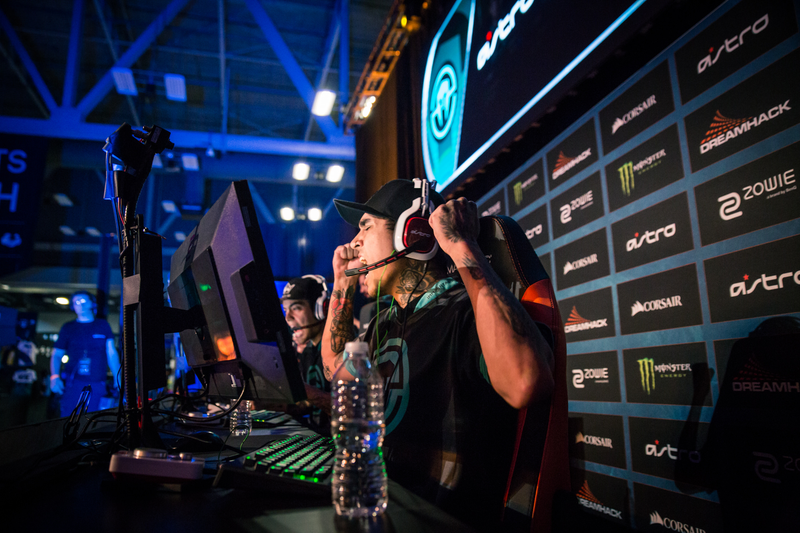 DreamHack Austin is hosting a number of big competitive gaming tournaments this weekend, including a CS:GO open. Matches for the group stage, which began on Friday, resume today at 11:00AM EDT to see who else will be seeded into the four-team single-elimination bracket. The grand finals are scheduled for Sunday at 6:00PM EDT. You can watch the entire tournament in the live stream embedded below. Austin also marks the fourth stop on the Capcom Pro Tour, with players competing for $15,000 in prize money and their standing heading into the autumn’s Capcom Cup tournament. 2016 champion NuckleDu will be present alongside the rising star of PG Punk, in addition to a host of other top-tier talent. Pools start today around 11:00AM EDT. You can watch the entire tournament here. Melee and Smash Bros. Wii U will both have tournaments at DreamHack with pools for both starting at 11:00AM EDT today while the finals for Smash Wii U are scheduled for Sunday at the same time, followed by the Melee finals at 2:00PM EDT. The prize money is paltry but the talent is not, with the best from across the Smash Bros. landscape, including Hungrybox, Mew2King, MKLeo, and ZeRo all vying for the spotlight. You can watch the Melee matches here and the Smash Wii U matches here. But there are also a lot of smaller side-tournaments being hosted at DreamHack, including for Pokkén, For Honor, Guilty Gear Xrd, and NBA 2K. You can find information on those matches, schedules, and streams here. The Hearthstone Grand Prix will be going on at the same time as well with hundreds of players competing to make it into the sixteen-person single-elimination bracket alongside the likes of GreenSheep and Rdu. The chaos will begin around 1:00PM EDT this morning and continue into tomorrow with the grand finals scheduled for 9:15PM EDT. You can watch the tournament live right here. The Smite Masters LAN in Atlanta, GA, the game’s big spring tournament, concludes this weekend with the semifinals beginning at 11:00AM EDT today, with the best-of-five finals scheduled for the same time on Sunday. Obey will take on underdog RivaL first, followed by North American favorites eGr vs. Europe’s DIG, with a total prize pool of $120,000 on the line. You can stream those games here. No major pro gaming event would be complete without an SCII tournament, and DreamHack Austin’s will pit champions from across the world against one another for a shot at $100,000 in prize money and better seeding in the WCS Global Finals later this year. Play picks back up today at 12:00PM EDT with the semifinals and finals getting underway on Sunday around the same time. You can watch all of the matches here. The Call of Duty Pro League enters its second weekend with matches today starting at 2:00PM EDT. Matches in the Blue Group began yesterday and will go the rest of the weekend as the bracket for the $700,000 tournament gets seeded ahead of its May conclusion. You can watch all of the games here. The regular season continues in North America today with Superstars vs. Team 8 at 5:00PM EDT followed by Team Naventic vs. Gale Force eSports at 7:30PM. In Europe the action begins at 12:00PM today with beGenius vs. Team expert, and Team Liquid vs. Fnatic at 2:30PM. Matches in both regions will continue on Sunday at the same times. Those games will be streamed live here. Looking beyond the start of South Korea’s APEX Season 3, there are a handful of matches this weekend, beginning with group matches in the Pacific Championship at 2:00AM EDT Sunday morning with ahq e-Sports vs. DeToNator.Gold, and later some group stage matches for the spring Premier Series 2017 at 5:00AM EDT featuring FTD Club vs. Oh My God. You can stream the Pacific games here and the Premier games here. Last but certainly not least, the Splatoon U.S. Inkling Open concludes this weekend, with matches for the final sixteen starting today at 2:00PM EDT. You can stay up-to-date with the full bracket of the remaining teams here, and watch all of the matches here.